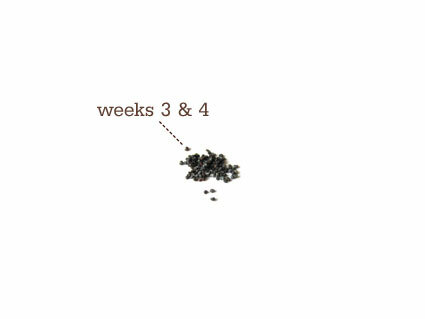 According to thebump.com, our little munchkin is the size of a poppyseed. It’s kind of amazing how something so small can make you feel so miserable. I’ve been sick off and on since last week. Not fun. I’ve also been waking up early pretty much everyday. We decided to tell my parents our good news on Wednesday. My mom had been asking for a week or so what I wanted for my birthday. Wednesday afternoon, Steven and I went to Target and made a short baby registry. That night before church, I gave the list to my parents as my “birthday list.” Oh the looks on their faces were priceless! Next, we’ll tell my sister and Steven’s parents and sister.